But why don’t you just ignore this fact for a couple of minutes while you are reading my blog. Just for once, accept the fact that some professionals actually genuinely care, have other people safety in mind and simply want to redirect people focus on security and safety related issues that really matters. Over a number of years I have been operationally involved in the security industry, here in the UK and a number of other countries prior to that. I retired just a few years ago in order to set up PPSS Group. During these years I was unfortunate enough to witness fellow security professionals loosing their lives and others suffering from horrendous and long lasting injuries. In fact it often was my responsibility to make that so very emotional and personal call to their next of kin, explaining why their loved one will not come home or requires long term care. The interesting thing I have noticed is that not many security professionals complained or moaned after a violent incident. They really seem to believe it is a part of their job and they have to get on with that. You know what? It actually is their job. The moment you decide to become a security professional, police officer or prison officer you can not expect to be treated respectfully every time you go to work. You cannot expect to stay unharmed every time you face potentially hostile and violent members of the public. You cannot expect to be handled gently by intoxicated aggressors when a situation has escalated and turned into something of a disaster. BUT… and this is a massive BUT… there are things a security professional must be able to expect, and that is the respect of their employer, their genuine care and their willingness to do everything in their power to enable him to do his job as safely as possible. Managing Directors, Operations Director or Operations Managers either care about human beings, and above all of them the professionals who represent their interest or they do not. It really is that simple! 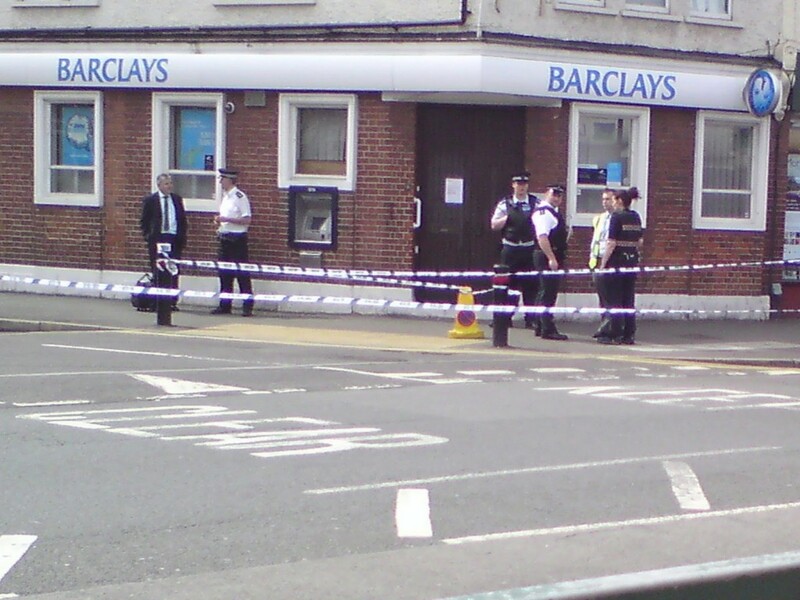 A security guard had been brutally murdered during an armed raid on a Barclays Bank! Just over the past few months we had to read news, which included phrases such as “a security guard was hit with an iron bar during an armed robbery”, “a gang of robbers attacked a security guard front of terrified shoppers”, “security guard assaulted during Walton robbery” and “a doorman needed surgery”. We cannot look away any longer. We have to accept responsibility, ensure their personal safety and at least look into the issue of body armour or stab vests as a real option. How should we proceed? Should we do as little as possible in reference to the personal safety of security professionals? Should we just do enough so we get away with things? Or, should we go beyond what is expected and exceed our employees expectations and legal requirements? Forget The Corporate Manslaughter and Corporate Homicide Act 2007 and other countries equivalent laws, forget the legal consequences of directors not complying with basic health and safety regulations, but let us not forget RESPECT. We all complain and comment about the lack of respect in this and many other countries, but when it comes to respect, should we not start with the people close to us, those who work for us? Some of the most successful business people, such as Sir Richard Branson, have long emphasised the importance of looking after your employees and making them feel respected and appreciated. 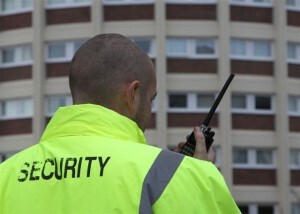 Asking security professionals to operate without body armour, stab vests or other type of personal protection, increases their risk of workplace violence related injuries, it increases their risk of getting injured, and in my professional opinion it is in breach of health and safety regulations, but above all it is NOT an expression of respect. If we genuinely care we must make sure these guys are as safe as they can be. It is a bit like a seat belt in your car. You might well be happy not to wear a seat belt, and you know what? This is your decision, it is your problem and it is your risk you are willing to take. To make such a decision over your employees head, to refuse issuing them with body armour or stab vests or forcing them to work with a ‘if you do not like it do not work for me’ attitude is wrong… and one of the very simple reasons why society is the way it is. For me, regardless of any commercial interest I might be accused of here, it shows a clear lack of respect! Body armour should be a part of our effort we need put into protecting the welfare of officers engaged in the common tasks of crime prevention, order maintenance and law enforcement. According to a statement on the American’s National Institute of Justice website in 2008, more than 3,000 police officers’ lives have been saved by body armour since the mid-1970s when the National Institute of Justice (NIJ) began testing and developing body armour and performance standards for ballistic and stab resistance. 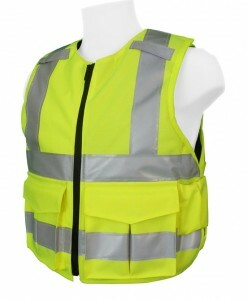 Should Paramedics be issued with stab vests?